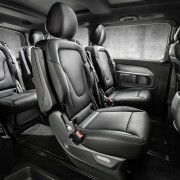 I loved the new V-Class’ looks from the first time I saw it. 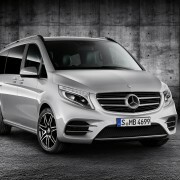 Now, with the new luxurious variant, it became the S-Class of the MPV’s. Yes, it’s always place for better. 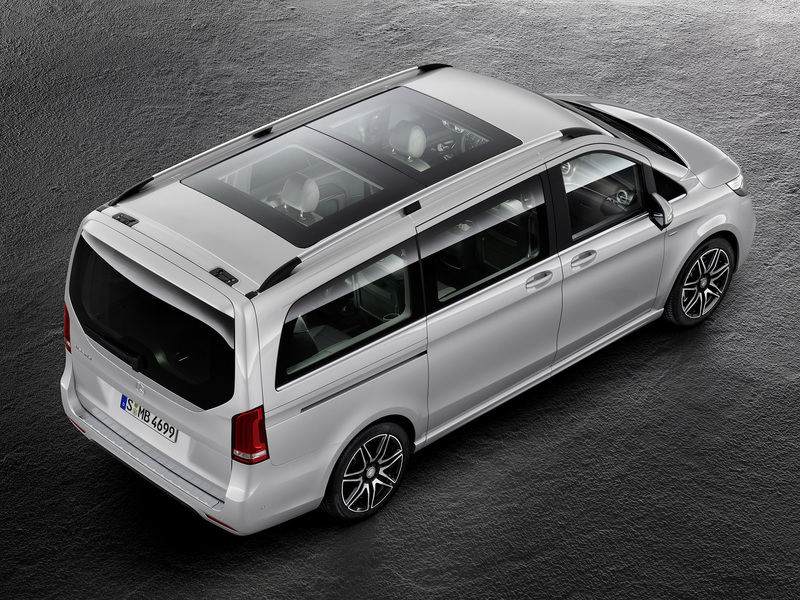 This new high level equipment, called EXCLUSIVE, enhances the MPV’s features: it became more stylish, comfortable and even more functional. There are so many new elements to list that I’ll better let the photos talking. 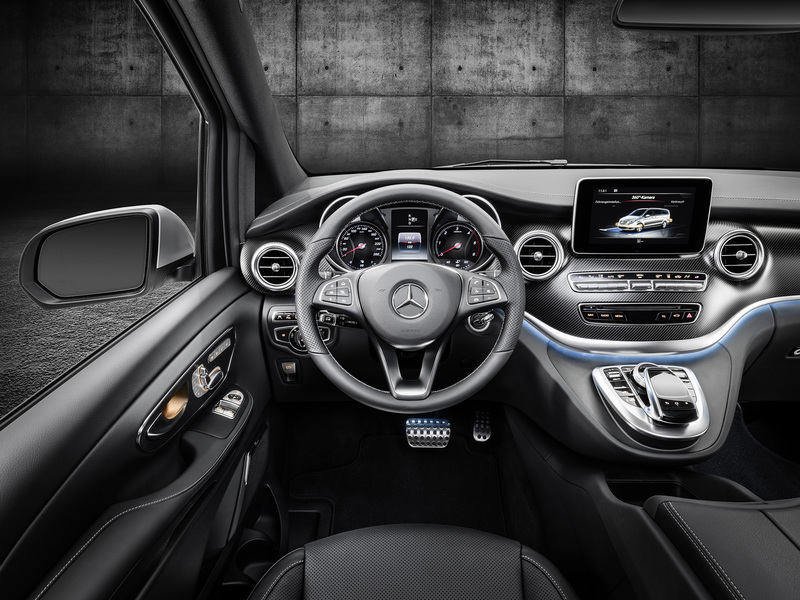 It’s a unique, refined atmosphere, filled with brushed aluminum look, chrome, glass and Nappa leather that makes you feel like only in a Mercedes is possible. 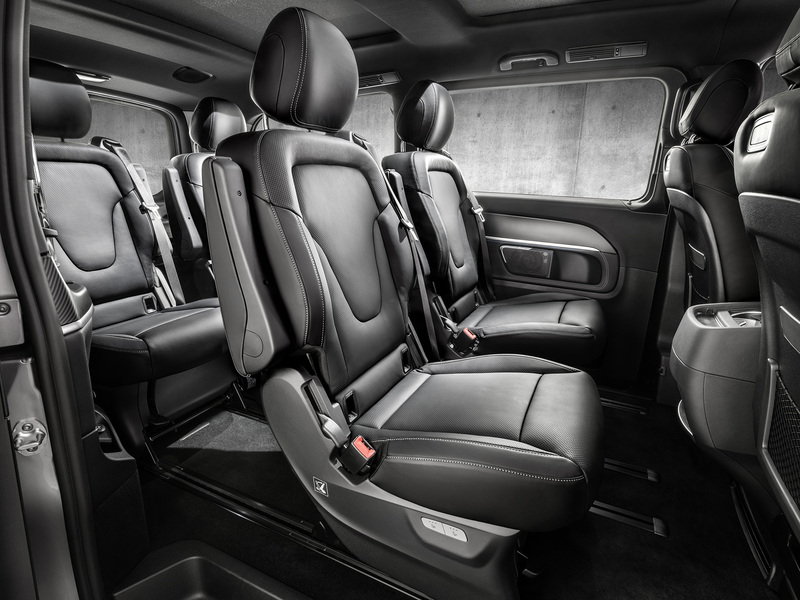 The level of comfort is symbolized by the climatised individual seats and thermo cup holders. 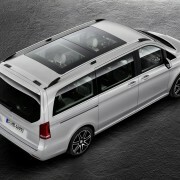 There’s a panoramic sunroof, to give even more space sensation. 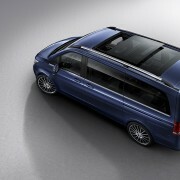 It measures 1.9 m by 1.12 m, being therefore the largest sunroof in the mid-size van class. There’s even a sensor which automatically tilts the sunroof, if the car is parked with the roof open and it starts to rain! 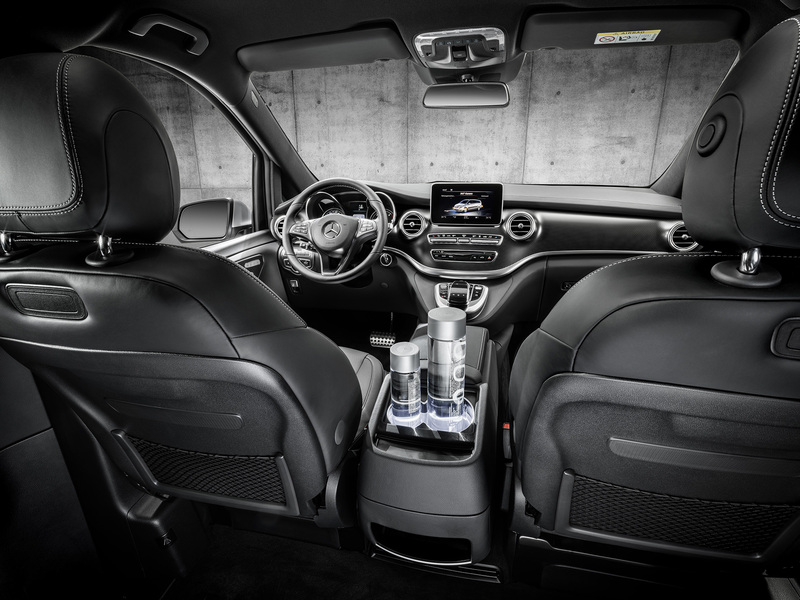 The central armrest integrates a five liter cooling compartment, beside other stowage spaces. 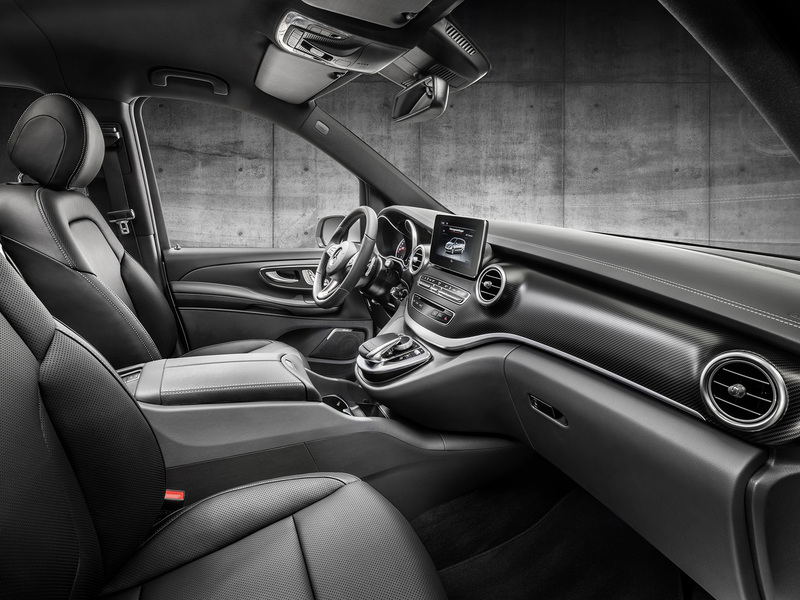 The two seats in front are fully electrically adjustable, while the Burmester surround sound system includes 16 loudspeakers. 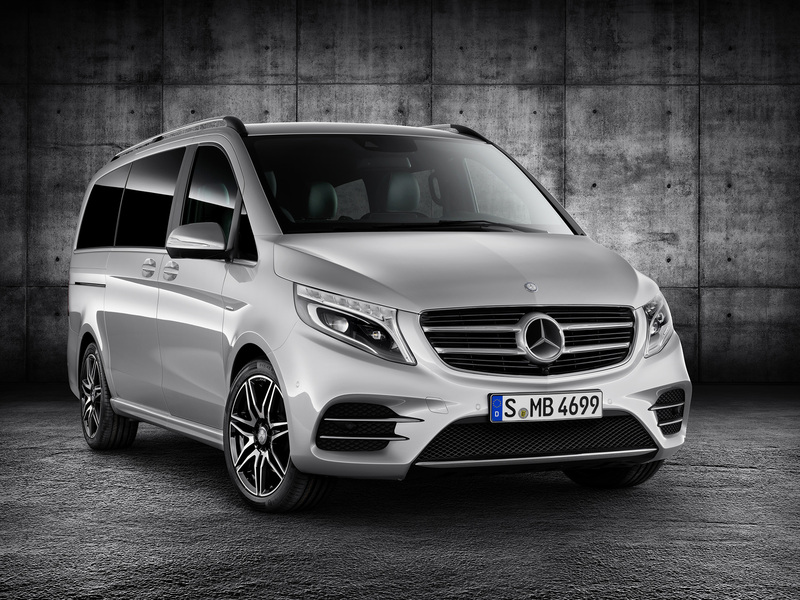 The MPV is not only luxurious, but safe and easy to drive, thanks to the Attention Assist, Crosswind Assist and Active Parking Assist with 360° on-board camera. A 17 inch braking system takes care of the emergency stopping. To make room for it, 19 inch light alloy wheels had been fitted together with a sports suspension. 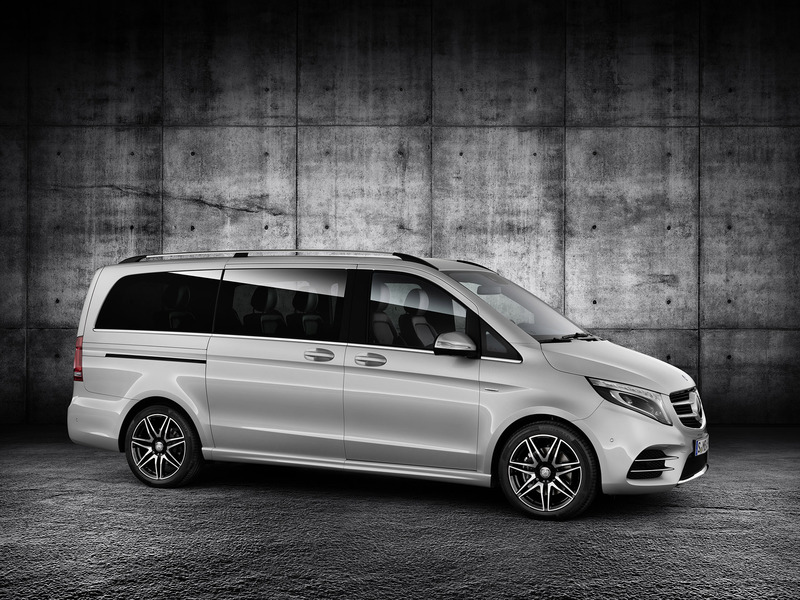 All these features come with a price: in Germany, the Mercedes V-Class EXCLUSIVE EDITION costs 74.911 €. 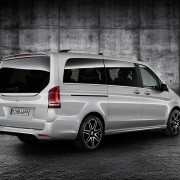 A second pack for the V-Class’ body, called AMG will be available very soon. 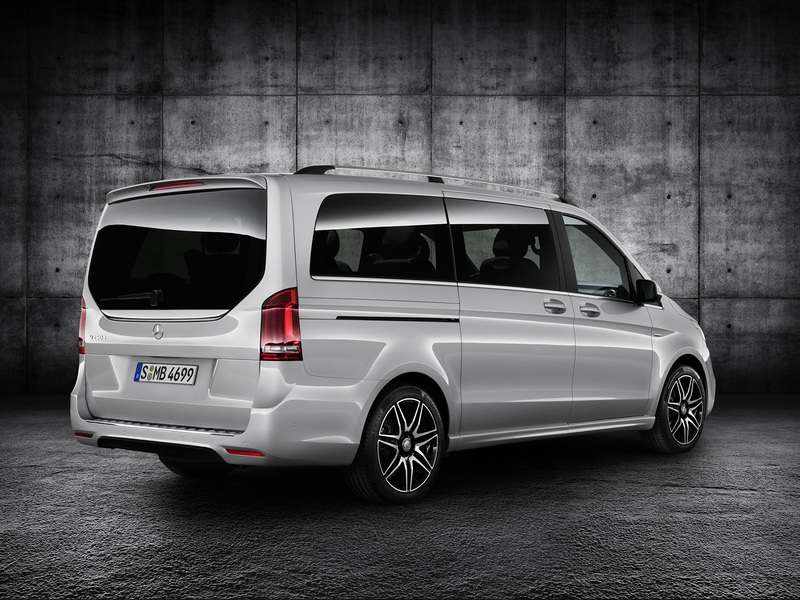 It includes redesigned aprons, an extra spoiler lip, sporty styled side sill panels and 19 inch AMG rims. 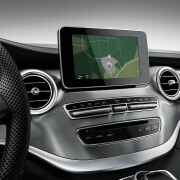 The “me connect” Mercedes services will be available from June. 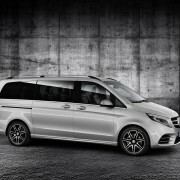 It will allow the V-Class customers to connect with their MPVs via smartphone, tablet or PC. 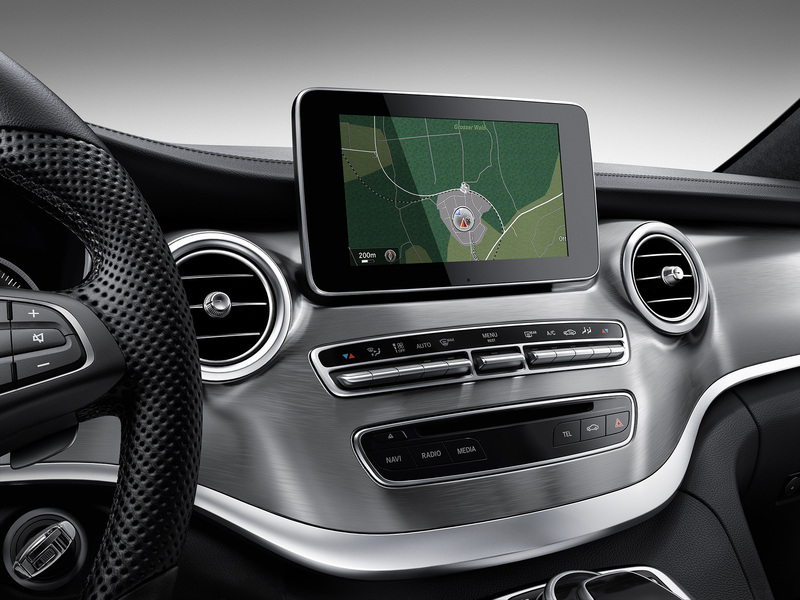 Basically, the system includes emergency call system, maintenance, breakdown and accident management as well as vehicle remote diagnosis and telediagnosis. 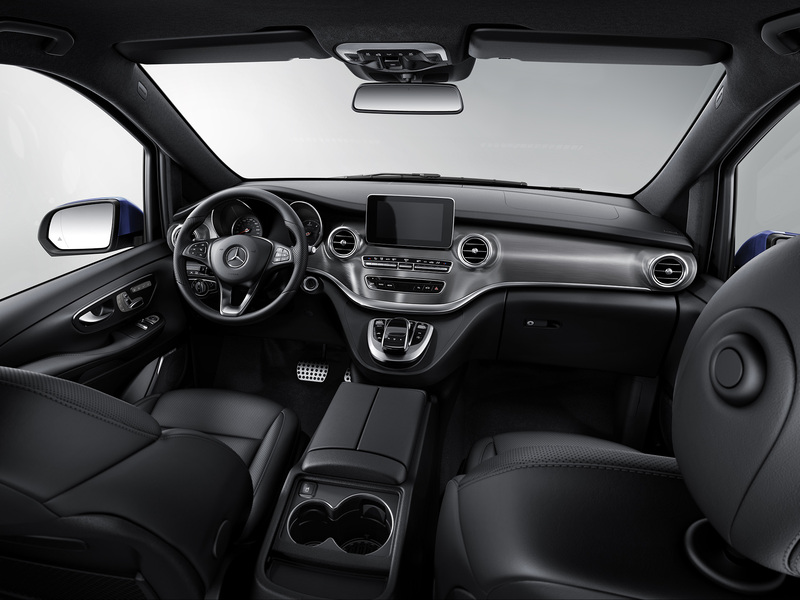 Optionally, is possible to locate the vehicle and navigate to it, lock and unlock it, check the fuel level and the tire pressure and programme the auxiliary heater.